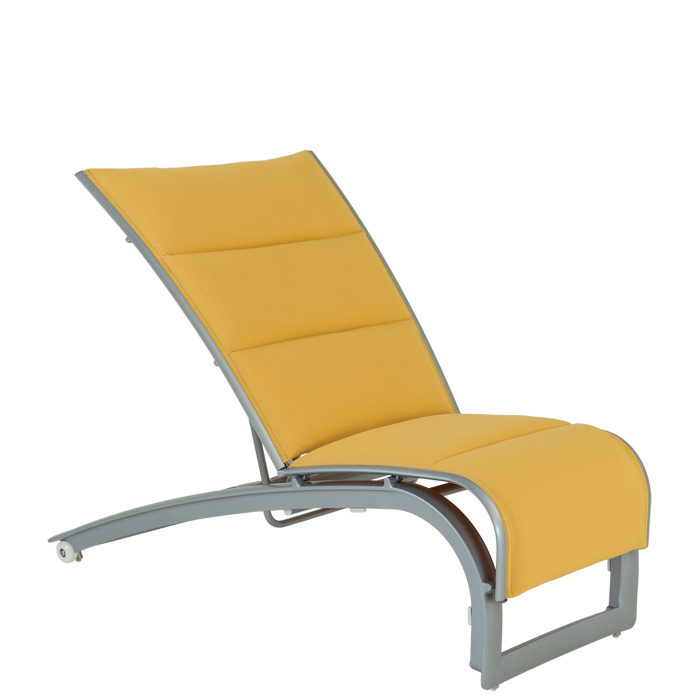 Designed by John Caldwell, Flair consists of a stacking outdoor recliner. The padded sling and beautiful design creates a streamlined appearance for each piece. Padded Sling Seating features two pieces of designer fabric slung across the seat and back to provide comfort with modern styling. Unique to the Flair Padded Sling Recliner is the tapered seat, defying the traditional, standard rectangular shape. Flair’s tapered design means each recliner has a smaller footprint and also creates unique seating arrangements. Wheels provide easy movement of the recliner when needed.